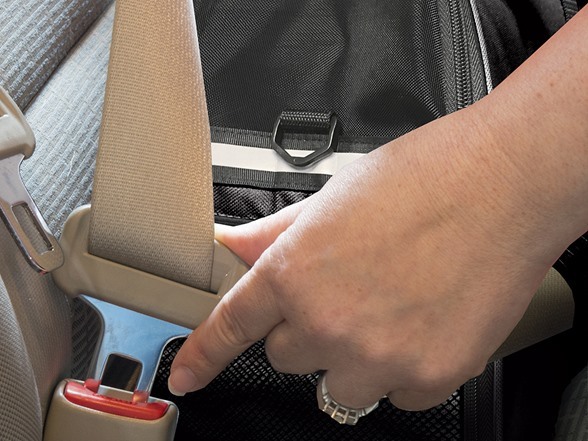 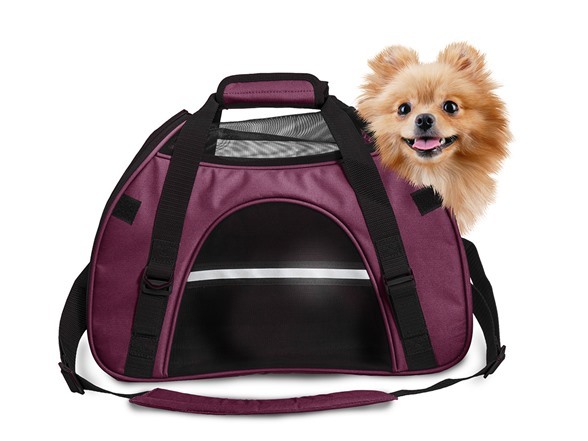 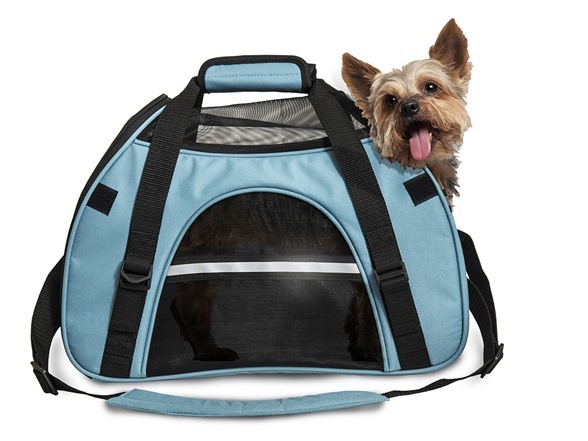 Travelling has never been so easy and comfortable for your pet! 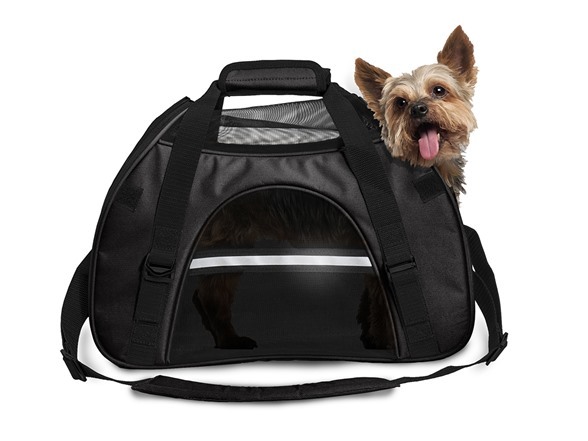 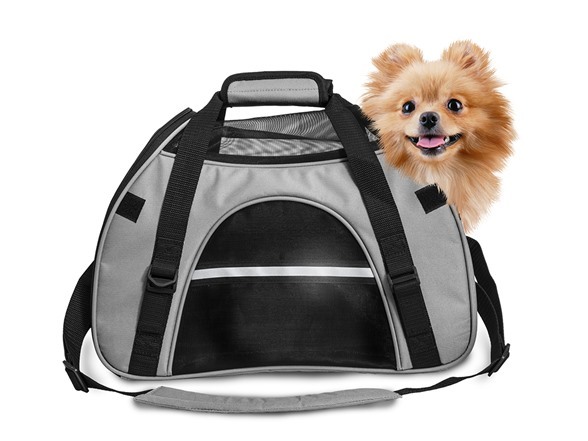 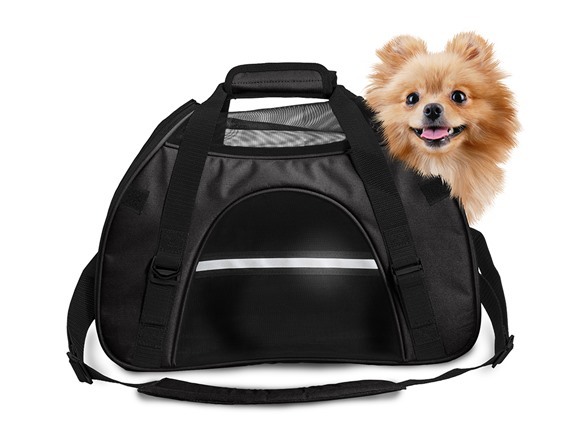 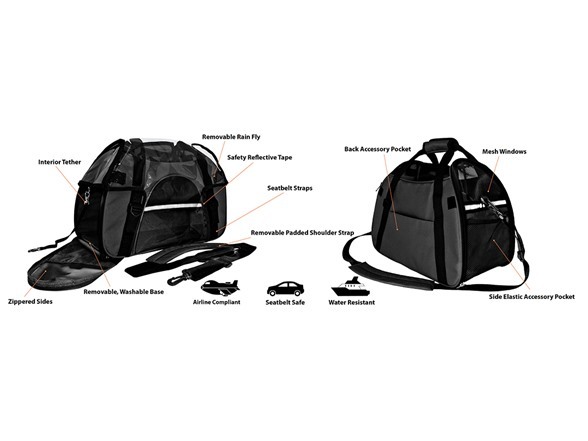 The FurHaven All Season Pet Tote is a multi-purpose, stylish pet carrier that can be used as dog car seat, travel purse or soft pet crate for travel including airplane flights. 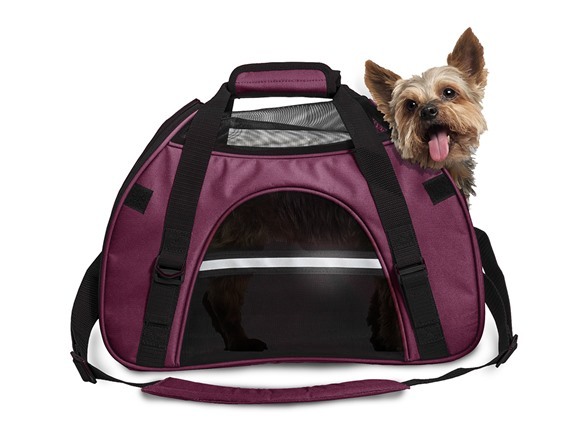 This versatile pet tote is made of high-quality, water-resistant poly-canvas fabric, with foam-lined walls for extra insulation and comfort for your pet. 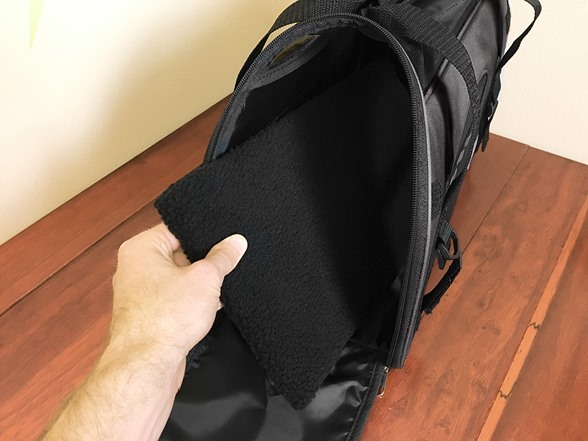 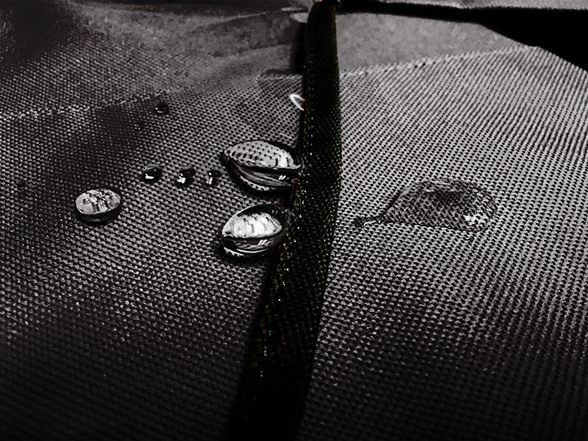 Removable rain fly keeps the weather outside the pet tote and not on your pet! 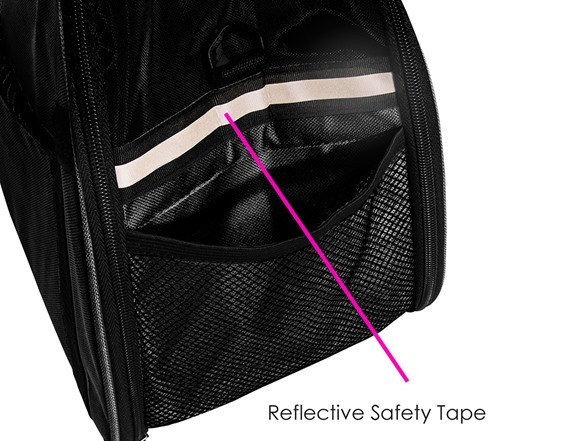 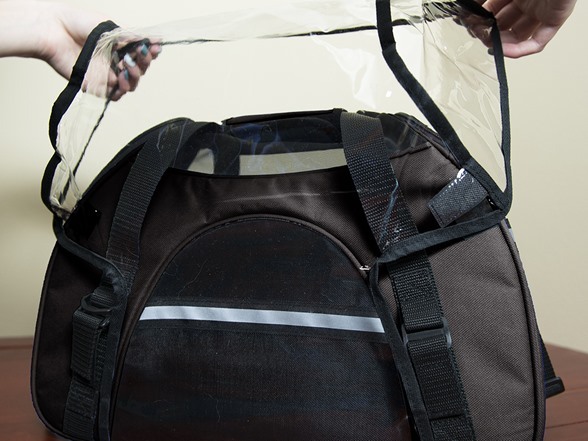 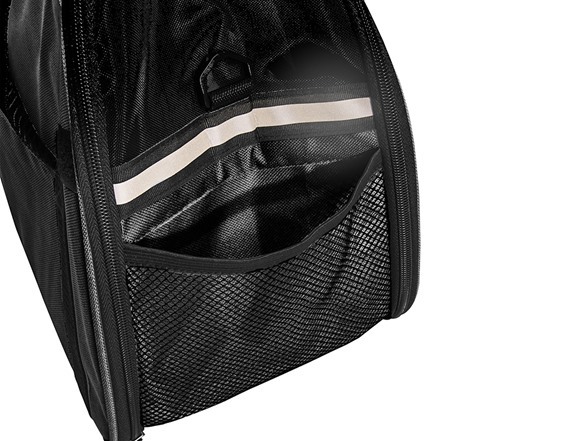 Zippered openings allow easy access for your pet as well as a mesh window that can remain open with hook and loop fasteners. 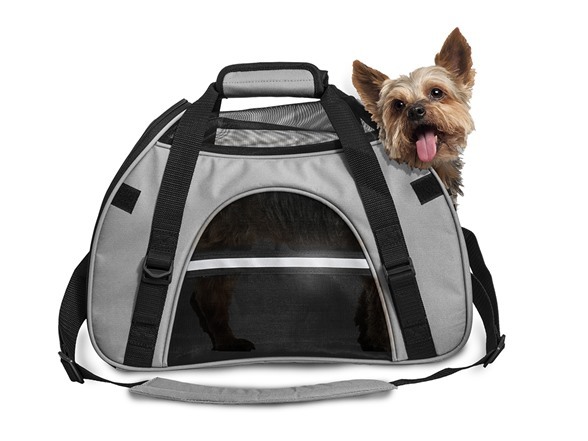 Multiple mesh windows provide ample ventilation and visibility for your pet, so you can keep an eye on your pet, and your pet gets a peek at the outside world. 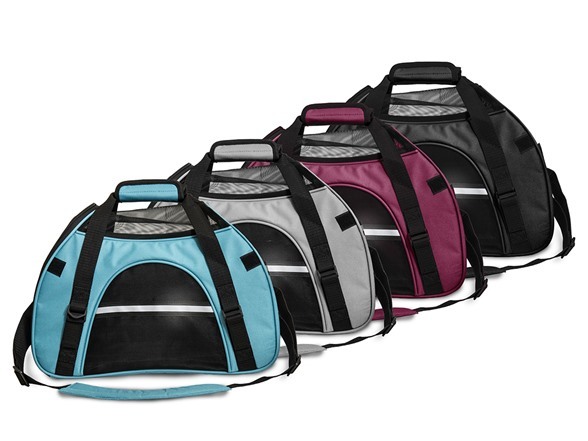 Choose from four fashionable colors and two sizes. 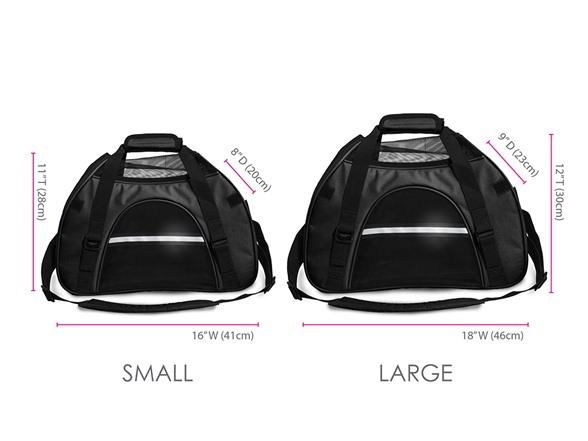 Small - 17" x 8" x 11.5"
Large - 19" x 10" x 13"